A sorry news story today revealed how a 'Men Only' charity event offered young women up as toys for rich boys to play with. This toxic event was run by 'The President's Club' in an age where the notion of Presidential behaviour has been turned on it's head. However, for once it was not the American President himself in the spotlight for grabbing women's bodies. Instead, a group of powerful politicians and businessmen, a self-anointed club of Presidents were called out by the young women being horribly objectified. The Presidents Club threw the event at the splendiforous Dorchester Hotel. Power and money were thrown around making women feel humiliated while the men only bask in the power of flexing their charitable muscles for the evening. The strong media reaction to such a toxic objectification of women shows that the time is up on this kind of disgusting, abusive behaviour. It is also a cautionary tale for any brand or organisation linking itself to such a regressive and toxic culture. It was a powerful gesture for Great Ormond Street to give back the millions of pounds they had received as beneficiaries of these Presidential shindigs in the past. Good on them. How could such a tone deaf event happen in 2018? Moving forward it is time to redress all of the gender inequity we see in the workplace, not only in terms of pay but in terms of roles. Why do we still have male bartenders and women 'servers' in many fancy London hotels? Why are banks of receptionists often all women while men take up the security positions? As business event planners we should all be asking these questions and calling out even these comparative wrinkles in equality (compared to the horrendous atmosphere for the women working at The Presidents Club event) Ultimately, the toxic combination of unreconstructed masculinity, power and money will sink to the bottom of the coldest ocean. Meantime, we will create warm, inclusive atmospheres for all by treating everyone fairly and remembering that when done well, events should be moments of staggering pride. 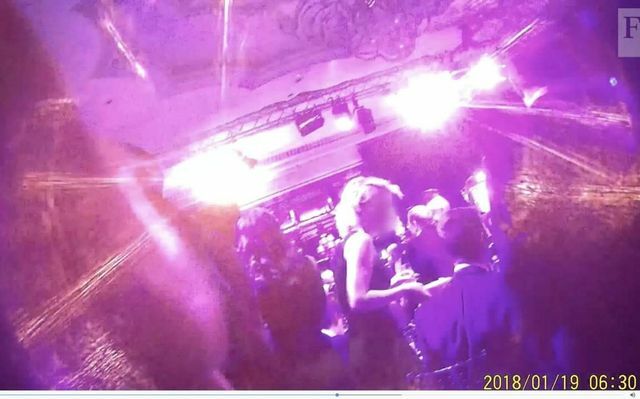 Margot James MP, the Conservative minister for digital and creative industries, described the fundraiser as a “slimeballs’ charity event”. Jo Swinson, the Labour MP for East Dunbartonshire, has written to the Charities Commision, urging it to investigate the Presidents Club dinner.